The Progress & Freedom Foundation Blog: What Impact Will Cass Sunstein Have on Obama's Internet Policy? What Impact Will Cass Sunstein Have on Obama's Internet Policy? President-elect Barack Obama will soon be naming Cass Sunstein, an old friend of his from their University of Chicago Law School days together, the new head the White House Office of Information and Regulatory Affairs (OIRA). OIRA oversees regulation throughout the U.S. government. Basically, Sunstein's position is the equivalent of the federal regulatory czar. Sunstein certainly possess excellent qualifications for the job. During his time at the University of Chicago and Harvard Law School, Sunstein has established himself as a leading liberal thinker in the field of law and economics. And, as I have joked in writing about him before, he is so insanely prolific that it seems every time I finish reading one of his new books a new title by him lands on my desk. I am quite convinced that both he and Richard Posner are actually cyborgs. I just don't understand how two humans can compose words so rapidly! Anyway, Professor Sunstein's new position as head of OIRA gives him the ability influence federal regulatory decisions in both a procedural and substantive way. In terms of substance, it gives him an important platform to subtly "nudge" the regulatory philosophy and direction of the Obama Administration on many matters, including Internet policy. So, what has Professor Sunstein had to say about Internet policy in his recent work? Sunstein has developed his thinking about these issues primarily in his two recent books: Republic.com (2000) and Infotopia: How Many Minds Produce Knowledge (2006). But he's also had a few relevant things to say about Internet issues in his recent book with Richard Thaler, Nudge: Improving Decisions About Health, Wealth, and Happiness (2008). There are 3 Internet policy-related things from his work that I'd like to focus on here because I find them all quite troubling. (1) Is the Net Creating Anti-Democratic Man? The first is Sunstein's general outlook about the Internet and what it is doing to society. In Republic.com, Sunstein argued that the Internet is destroying opportunities for a mingling of the masses and shared social experiences. The hyper-customization that specialized websites and online filtering technologies (blogs, portals, listservs, political websites, etc.) offer Americans is allowing citizens to create the equivalent of a highly personalized news retrieval service that Sunstein contemptuously refers to as "The Daily Me." Actually, the phrase "The Daily Me" was coined by Nicholas Negroponte in his brilliant 1995 book Being Digital to describe what he argued would be a liberating break from traditional, force-fed media. But what irks Sunstein about "The Daily Me" is not the amazing new array of choices that the Internet offers Americans, it's that the Internet and all these new technologies allow citizens to filter information and tailor their viewing or listening choices to their own needs or desires. While Negroponte welcomed that filtering and specialization function, Sunstein seems to live in fear of it, believing that it creates extreme social isolation and alienation. He argues that unrestrained individual choice is dangerous and must be checked or countered in the interests of "citizenship" and "democracy." In his own words: "A system of limitless individual choices, with respect to communications, is not necessarily in the interest of citizenship and self-government. Democratic efforts to reduce the resulting problems ought not be rejected in freedom's name." In other words, as I noted in my review of his book in Regulation magazine back in 2000, Sunstein is essentially saying that the Internet is breeding a dangerous new creature: Anti-Democratic Man. And government should not hesitate to act to counter it. Sunstein's argument is highly elitist. To Sunstein, the Internet is apparently guilty of the unspeakable crime of offering citizens and consumers too much of exactly what they want! But, according to his logic, the masses just don't know what's good for them so they must be aggressively encouraged (and potentially forced) to listen to things that others -- namely, Sunstein -- want them to hear. 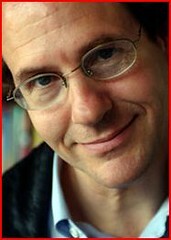 As Thomas Krattenmaker and Lucas Powe, authors of Regulating Broadcast Programming, argue: "Sunstein has dressed an older argument in more modern garb, but at bottom it is the persistent belief of some elites that if only they could gain power, they would use it to impose their views of the good on those who are less enlightened." It's what my favorite political scientist Thomas Sowell refers to as "The Vision of the Anointed." And a look at the world around us shows that Sunstein's view that the Net is leading to close-mindedness, homogenization, and the death of deliberative democracy is generally overblown. (Although Lee Siegel and Andrew Keen would agree with him). Indeed, I think quite the opposite is the case. While it's true that citizens do face an overwhelming number of media and informational choices today, that isn't really such a lamentable development. The very fact there are so many distinct media and informational options available to citizens is better for a healthy democracy than a limited range of media options, even if some people flock to sites they find more agreeable. Finally, it is simply impossible for me to believe the argument that citizens are somehow exposed to fewer viewpoints today than in the past. Such a suggestion is simply revisionist history. Never before have we humans been exposed to such a cornucopia of informational inputs of all flavors. Sunstein's views about the Internet and what it is doing to society are troubling enough. Far more problematic, however, is what Sunstein has suggested we should do to deal with this supposed problem. After Sunstein worked himself up to a boil about all this in Republic.com, he tossed out what I believe is the single most dangerous public policy idea for the Internet suggested in the past 10 years: mandatory "electronic sidewalks" for cyberspace. Sunstein called for popular or partisan websites to be forced to carry links to opposing viewpoints. Think of it as a combination of must carry mandates and the Fairness Doctrine for the Internet. Thus, the National Rifle Association (NRA) would be forced to run links or editorials by anti-gun groups, and abortion rights groups would be forced to contend with links and editorials from pro-life organizations. Apparently in Sunstein's world, people have many rights, but one of them, it seems, is not the right to be left alone or seek out the opinions one desires. Problems abound with such a philosophical paradigm. It is impossible to know how or where to draw regulatory lines under such a regime. For example, under Sunstein's model, how many links to opposing viewpoints should citizens be subjected to on the Net before he believes they are fully assimilated into democratic society? If the NRA only offered one or two links to anti-gun groups, would that be enough? Moreover, it remains unclear who in government is really in the a position to dictate or referee all of this and how they will go about enforcing it. Whether any of this will pass constitutional muster is another question not explored by Sunstein. I have thought over the years of whether it makes sense for the government to have a regulatory role [for the Internet]. But the Internet is too difficult to regulate in a way that would respond to these concerns. The first book ["Republic.com"] had suggestions that government should consider fairness-doctrine-type mandates on Web sites. It suggested that it's reasonable for government to think about creating the equivalent of linking obligations and pop-ups, so that you'd be on one site -- say, a conservative site -- and there'd be a pop-up from a liberal site. I now the believe that the government should not consider that -- that it's a stupid and almost certainly an unconstitutional suggestion. Hearing counter-arguments and seeing the nature of the Internet as it unfolded over time. "Republic.com" made a mistake of applying to the Internet some ideas that were developed in a world of three or four television networks. ... But the kinds of regulation that would respond to my concerns [about deliberative democracy], they're not really feasible and they probably wouldn't help. Most problems are best solved privately, not through government. There's a problem of discourtesy in the world, which is best handled through social norms, which are indispensable. But you wouldn't want the government to be mandating courtesy. Thus, I have to give Prof. Sunstein credit for recognizing the complexities and dangers associated with his old ideas. The modern world suffers from insufficient civility. Every hour of every day, people send angry emails they soon regret, cursing people they barely know (or even worse, their friends and loved ones). A few of us have learned a simple rule: don't send an angry email in the heat of the moment. File it, and wait a day before you send it. (In fact, the next day you may have calmed down so much that you forget even to look at it. So much the better.) But many people either haven't learned the rule or don't always follow it. Technology could easily help. In fact, we have no doubt that technologically savvy types could design a helpful program by next month. We propose a Civility Check that can accurately tell whether the email you're about to send is angry and caution you, "warning: this appears to be an uncivil email. do you really and trulywant to send it?" (Software already exists to detect foul language. What we are proposing is more subtle, because it is easy to send a really awful email message that does not contain any four-letter words.) A stronger version, which people could choose or which might be the default, would say, "warning: this appears to be an uncivil email. this will not be sent unless you ask to resend in twenty-fourhours." With the stronger version, you might be able to bypass the delay with some work (by inputting, say, your Social Security number and your grandfather's birth date, or maybe by solving some irritating math problem!). When I first responded to Sunstein and Thaler's "Civility Check" notion, I went a little hard on them calling that idea "absurd and horrendously elitist." What I should have made clear is that there is a difference between suggesting this sort of thing as an industry "best practice" as opposed to mandating it by force of law. Indeed, in October of last year, Google launched a new Gmail feature called "Mail Goggles" that, according to the launch message on Google's Gmail Blog, will help users "stop sending mail you (will) later regret." The feature -- perhaps better labeled a "Drunk Check" -- "will check that you're really sure you want to send that late night Friday email" by asking you to "solve a few simple math problems after you click send to verify you're in the right state of mind." It's not identical to what Sunstein and Thaler have in mind, but it's close. And I'm fine with Google adding such a feature to their Gmail service, especially since you don't have to use it if you don't want to. Sunstein and Thaler aren't really clear about how far they would go in forcing their Civility Check on Internet operators, however. For example, would they alter Section 230 immunity standards to hold the threat of liability over the necks of website operators who refused to play ball? They just don't say. But with rising concerns about online cyberbullying, harassment, and defamation, the really interesting question going forward becomes just how far the law should go to encourage or demand that site operators better police their sites for poor "Netiquette." The danger here is that, if the liability equation was to tip in the other direction, it would have a profoundly chilling effect on online free speech and expression. While Sunstein and Thaler obviously hope that chilling effect associated with such a Civility Check would only be freezing caustic, offensive, or potentially libelous forms of speech, much more speech would likely be affected. Will Sunstein continue to push any of these views in his new position as Obama's regulatory czar at OIRA? If so, how much impact will Sunstein's views have on others in the Obama Administration, especially at the FCC? Or, have his views changed enough that we really shouldn't worry? Who knows. It may be that Sunstein will be too busy trying to mediate fights between agencies and other "czars" in the Administration -- of which there seems to be no shortage these days! If, however, Sunstein's views on the supposed dangers of the Internet and his proposals about how to address them do come to hold sway with others in the Obama Administration, we may be looking at even more insidious Internet regulation than I expected from this new crew. Sunstein's thinking and proposals would have a profound impact on online freedom and the First Amendment rights of all online sites and speakers.